It's the 25th Anniversary of my favorite movie! Also, I did a thing. 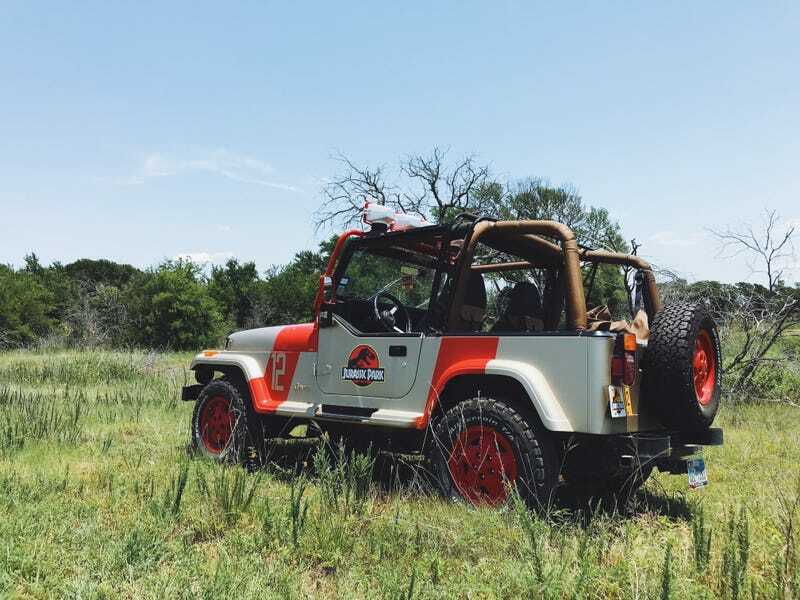 25 years ago, one movie changed the industry forever... and inspired crazy people like me to replicate the vehicles that appeared in said movie! This past weekend I had the opportunity to partner with Universal & Jurassic World: Fallen Kingdom for their, “Jurassic World Unleashed” nation-wide tour to promote the movie. They just so happened to be rolling through my town and set up in the parking lot of a Walmart (glamorous, I know) so it took no time at all for me to agree to the gig. But the experience was so friggin cool! Getting to see so many people get excited over the Jeep and taking pictures with it reminded me why exactly I built it: to brighten peoples day.